We were driving through Woodville, Texas one winter day just looking around. I had never been in these parts so I was taking in the sights, sounds and smells of Tyler County. 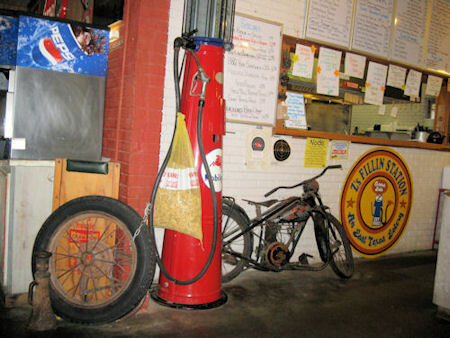 We walked right in and started eyeballing all the cooking & filling station memorabilia and other junk hanging all over the wall. 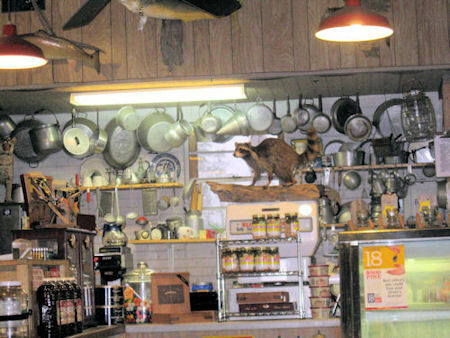 Just past the stuffed raccoon was the "order here" window. When we stepped up to the counter the proprietor of the place said, "What do you folks want?" and I said, "We want to eat." and he said, Fine, what do you want to eat?" The menu was large for a place of this size. They had five hand written menu boards and about ten paper "specials" hanging in the window. 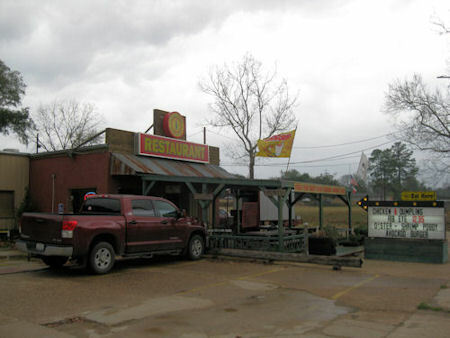 This place was close enough to Louisiana to have boudin and because this is Texas, barbeque plus everything in between. Since I was only passing through and I don't know when I'll get back this way I ordered a cheese burger. If you can get a cheese burger right I'll try more complicated dishes like chicken and dumplings or barbeque the next time I'm here. 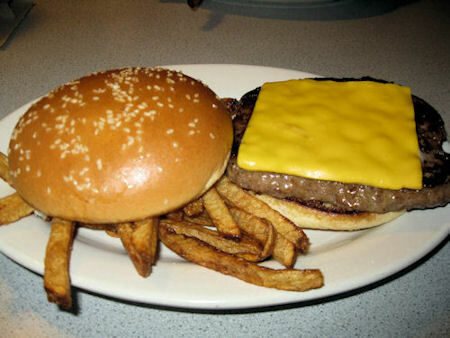 The burgers showed up pretty fast just as shown in the picture below. There is a large condiment bar located nearby right behind the grease rack. (Just kidding about the grease rack.) The cheese burgers were very good and a very good size. The fries were great! They were not frozen but seemed to be hand cut from real potatoes. 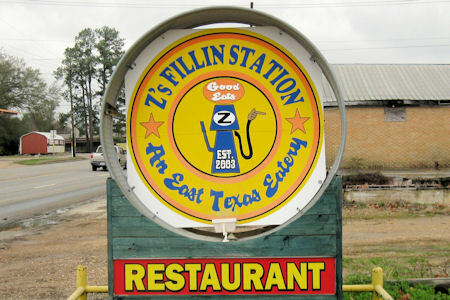 The next time I'm in Woodville I'm going to Z's Fillin Station and order the special at least one of them.